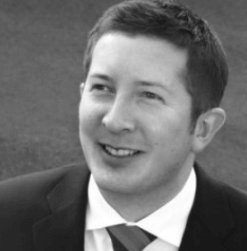 Gavin joined Navigator as a Chartered Financial Planner in 2017 and is based out of our Hertfordshire office in England. Gavin has been providing independent financial advice to discerning clients since 2000. Attention to detail, good listening skills and great empathy are some of the most common traits highlighted by his clients. He has spent the vast majority of his career specialising in advising individuals in the legal profession as well, business owners, and high net worth individuals. Gavin has extensive experience and detailed technical knowledge in advising clients across all areas of retirement planning, tax planning, investments, estate & inheritance tax planning and personal/business protection. A keen football fan, who still plays even though he is the wrong side of 40, Gavin now also enjoys teaching and watching his 3 sons playing football and rugby.